Here’s half of a form I worked on last year. It’s not the most stylish thing in the world, but it’s quite important because it allows people to vote in the forthcoming general election. It was a lot of work, and revisiting after a few months, it’s a job I’m proud of. 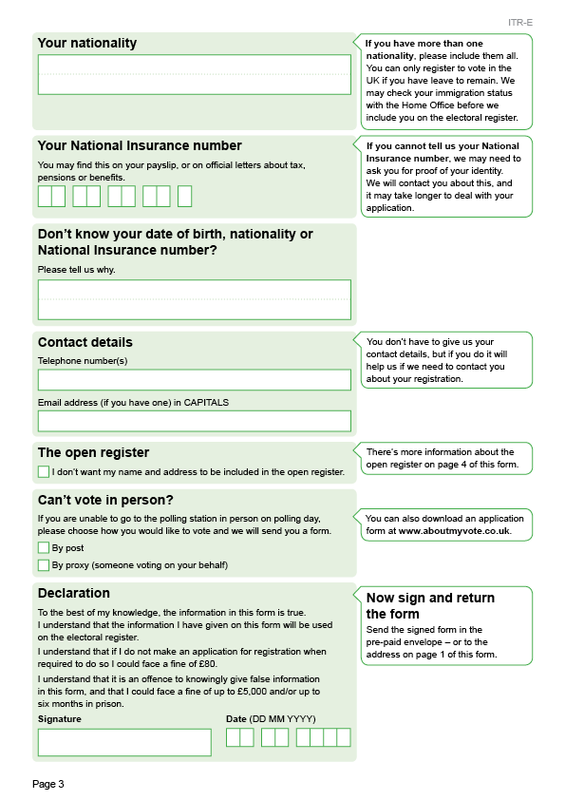 After seeing another advert, prompting people to make sure they had registered to vote, I clicked through and spotted that a large print version had been created, and here it is. An absolute abomination; the whole thing just grabbed and stretched. 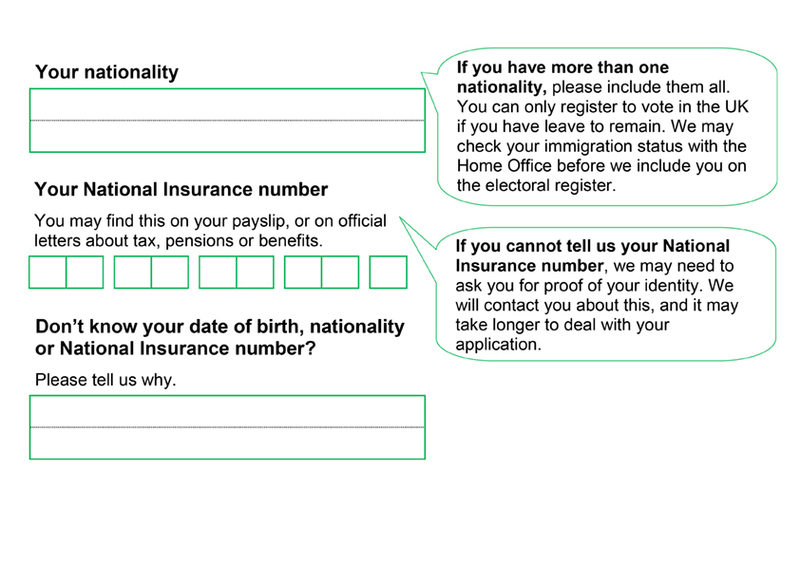 It’s a digital service, so why are the forms needed at all? I understand there will have been a feeling that these forms aren’t really in keeping with the ‘digital by default’ ethos. But not everyone wants to go digital just yet (if they ever will completely), and their views and votes are just as important – aren’t they? Why didn’t the main form have larger type?